What is a Hidden Fence? 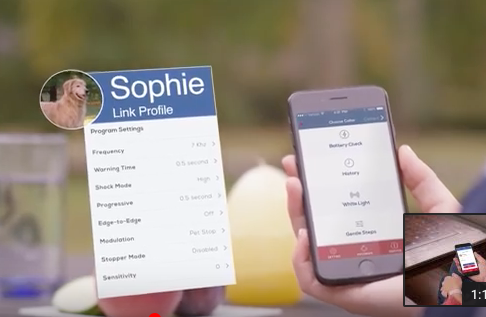 A hidden dog fence is a pet containment system: a dog-training device that uses training and an audible warning combined with a rising stimulation to boundary train your pet. With a hidden fence, your dog will have the freedom to run and play in your yard without a chain, leash or your concern. Can you customize the installation to our yard? Yes. We can cover up to 100 acres. We always look for the best way to keep your dog away from areas such as gardens and driveways. In residential areas, we recommend blocking the sides of the house so your dog cannot go from the backyard to the front. With a properly designed boundary, your dog will safely avoid swimming pools and unappreciative neighbors. We can even close off rooms and stairways inside your home. Since dogs cannot dig under or jump over the hidden dog fence, this system is an ideal alternative to traditional fencing at a fraction of the price. Many people also employ hidden dog fences to reinforce existing fencing that their dog has found its way around. Will it hurt my dog? No. During training, your dog will barely feel the correction. It will learn to back away from the flags by the beep of the collar. Thanks to our professional training, your dog will receive a minimum of discomfort. 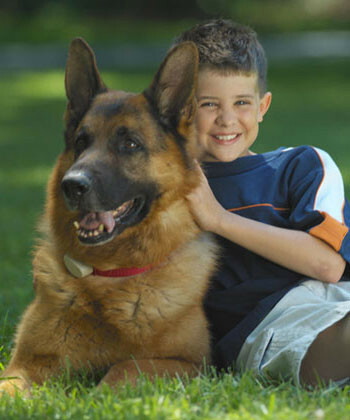 We will help you choose the stimulation setting to suit your dog based on its personality and disposition. After just a few training sessions, your dog will adhere to the warning tone and rarely experience the stimulus. Very soon your dog will begin to avoid the stimulus and its new freedom will far outweigh any concerns you have over the mild stimulation. How does a Pet DeFence hidden dog fence work? We offer an exclusive Triple Zone safety feature. The receiver on the dog’s collar will sound a warning tone if it approaches the boundary. With proper conditioning, your dog will learn this means it must back off. 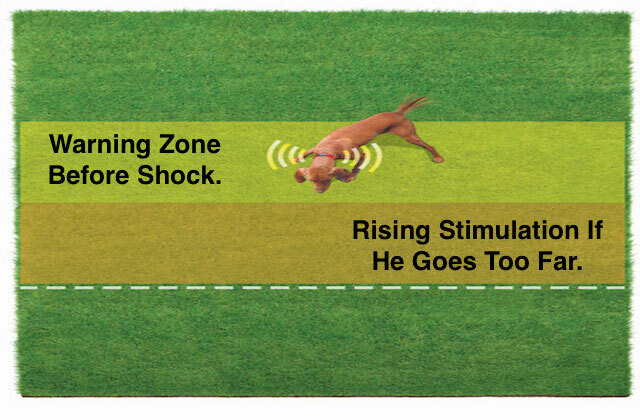 Should your dog not heed the warning tone, or continue farther into it, our receiver will deliver a harmless but effective static correction. If it goes further still, our receiver will increase the intensity of the stimulation, while continuing to deliver the audible warning. How does the Pet DeFence collar work? A small and lightweight receiver is located the dog’s collar. It picks up a DM or Digitally Modulated signal (versus old-fashioned Analog or FM signals) from a wire buried around your yard, gardens, pool or installed in the ceiling of your basement. Dogs as small as 3 1/2 pounds can comfortably wear the Pet DeFence collar. The receiver is 100% waterproof with a commonly available battery. We are the only brand whose batteries are readily available at the hardware or grocery store. The manufacturer’s limited lifetime warranty ensures you will never pay retail again. It even covers dog chews, broken prongs, wear and tear and the electronics. Is there training involved and how long until our dog will get the idea? Yes. The stimulation and audible tone are important, but the training is the most important aspect of the fence. 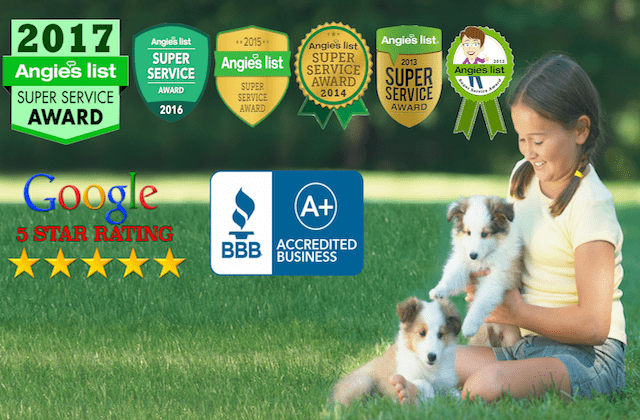 Pet DeFence is proud to offer exclusive training methodologies recognized by the International Association of Canine Professionals. No two dogs are alike, therefore, we tailor our training to each dog. Using our unique “GentleStart” and “SafeYard” training methodologies, your dog will quickly learn its new customized boundaries. 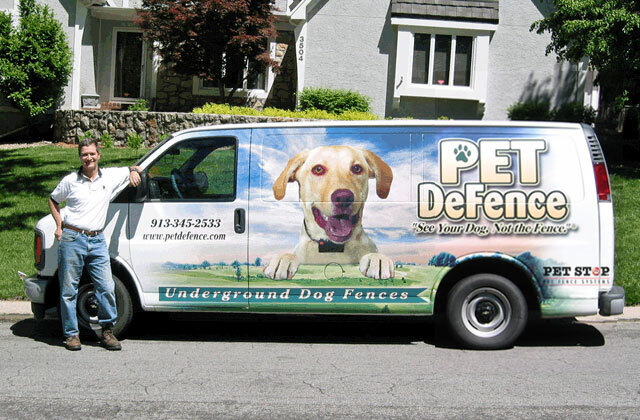 Most Pet DeFence customers find it takes surprisingly little time to train their dogs to stay in the yard. With proper methodology, patience and praise, in about week or so of training, your dog will soon be content, safe and secure at home. Remember, training time varies with each dog. What if it does not work for our dog? We are so confident of the quality and effectiveness of our products that we offer a money-back guarantee. Our hunting dog was trained with a shock collar, will this mess the dog up? The training we offer is customized for every dog. Dogs that have been previously trained or possibly abused and frightened by training with a shock collar, bark control collar or fence training collars come to us with bad information that your dog might exaggerate and misunderstand. Your dog may try to use their experience to respond in a way that is incorrect causing learning problems, manifesting as stress, confusion, and fear. However, our specialized GentleStart and SafeYard training protocols were designed with dogs like this in mind. We cannot change a dog’s history of former training or abuse. However, if you tell us before we start training, we will customize a low stress, fun, training program for your dog based on his current state of understanding of electronic collars. Let’s talk before you decide that this will or will not work for your dog. Our dog was trained with a bark collar, will this work with our dog? The training we offer is customized for every dog. Dogs that have been previously trained on bark collars come to us with no knowledge of how a fence works but often stress quickly over the shock of the fence collar. Afterall, he did not bark and therefore should not have been shocked, right? Your dog may use their experience to respond in a way that is incorrect causing learning problems, manifesting as stress, confusion, and fear. However, our specialized GentleStart and SafeYard training protocols were designed with dogs like this in mind. We cannot change a dog’s history of former training. However, if you tell us before we start training, we will customize a low stress, fun, training program for your dog based on his current state of understanding of electronic collars. Our dog was trained on a fence before and it really freaked him out, will this work with our dog up? The training we offer is customized for every dog. Dogs that have been previously trained or mis-trained on a fence collar will come to us with bad information that might cause your dog to exaggerate his response to the flags or the shock. Your dog may try to use their experience to respond in a way that is incorrect causing learning problems, manifesting as stress, confusion and fear. However, our specialized GentleStart and SafeYard training protocols were designed with dogs like this in mind. We cannot change a dog’s history of bad habits or previous incorrect fence training. However, if you tell us before we start training, we will customize a low stress, fun, training program for your dog based on his current state of misunderstanding of fence collars. What kind of wire does Pet DeFence use? 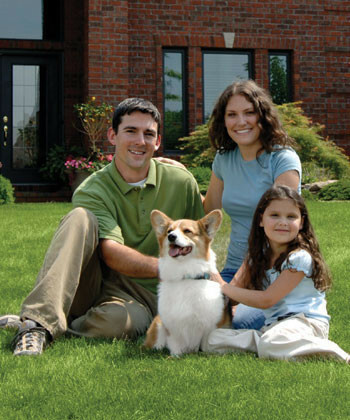 We protect your investment with UL-approved wiring made exclusively for the application of direct burial in your yard. In fact, every aspect of our system uses UL approved components, from the receiver on your dog, down to the wire and hardware for the system. 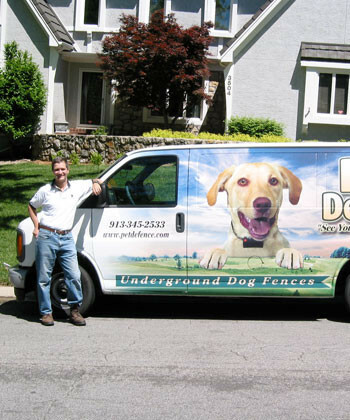 Pet DeFence was the first company in the KC Metro area to offer professional Panamax lightning protection packages on every professional hidden dog fence. They have a have a limited lifetime warranty with a field life expectancy of 500 years! According to the National Electrical Code, they are the only acceptable grounding device for hidden dog fences in the Kansas City market. This gives our customers peace of mind during our frequent lightning storms. No transmitter or transformer sold by Pet De Fence and protected by a Panamax “Isolated Loop Protector” has ever failed from either a lightning strike or power surge. This saves you time, trouble and money. It also protects your dog. Isn’t that what this fence is all about? Why is professional lightning protection important? The buried wire in a hidden dog fence can pick up lightning-induced currents from several hundred feet away. Lightning currents can be up to 100,000 Amps, with voltages into the millions. 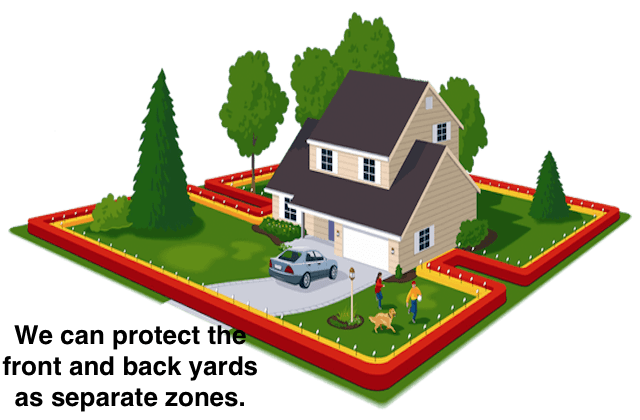 If lightning has ever struck on or near your property, if you live on a hilltop or in a lake community or if your home requires a large loop, then you have an even greater need for proper grounding of your hidden dog fence. Is it OK to use install a separate ground rod or attach a ground line to my electrical outlet to protect the loop and transmitter? No. Simply put, it is a violation of The National Electrical Code (NEC) Article 250-106 for Lightning Protection Systems. How do I change the battery or the shock level? 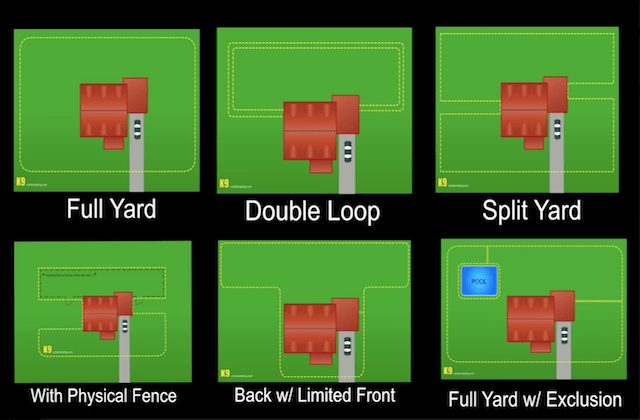 Please visit our Fence Help Section for more details on how to troubleshoot and program your dog fencing system. We don’t have a dog yet. Can you help us pick one out? Why trust your dog’s life to Pet De Fence? Compare for yourself! Check out our Why Choose Us page for more information.